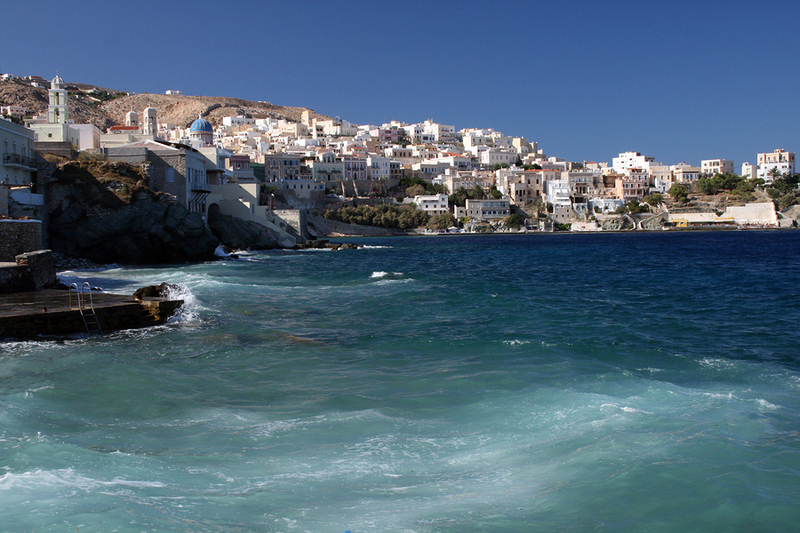 Syros is the administrative centre of the Cyclades, despite being rather a barren and rocky place. It owes its position to a good natural harbour at Ermoupoli, which was once the main port for the whole of Greece. As recently as the 19th century it was still the most powerful port in the eastern Aegean, and as a result there are many fine mansions remaining. Ermoupoli is said to be the finest-preserved neo-classical town in the country, and with a population of just over 13,000 is the largest town in the Cyclades. Despite its importance, it is not overwhelmed by tourism. 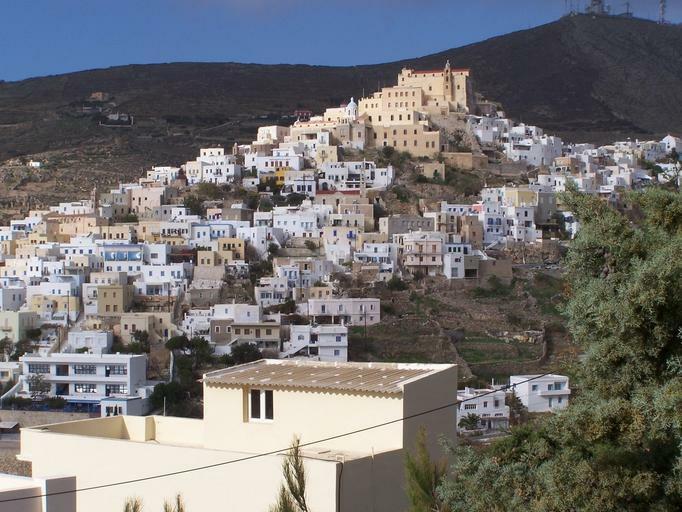 The fact that it is the administrative and cultural centre for the Cyclades means that it prospers without needing to cultivate tourists, which some of the smaller islands must do. Nevertheless, visitors do come in increasing numbers, drawn by its small resorts, little fishing villages and enough good beaches to keep everyone happy. Some of these, such as the ones at Armeos and Delfini, are quiet enough to have become nudist beaches. Syros has a domestic airport with daily flights to and from Athens. As the administrative centre for the Cyclades, Syros obviously has good ferry connections with other islands in the group. The nearest neighbours are Tinos (30 minutes), Mykonos (45 minutes) and Santorini (1 hour). Some of the Dodecanese are also within reach, although with long journey times. Rhodes takes 9-11 hours, for example. You can even get to some of the North East Aegean Islands, although somewhere like Chios will take 12 hours. Athens is closer, at a mere 4 hours. 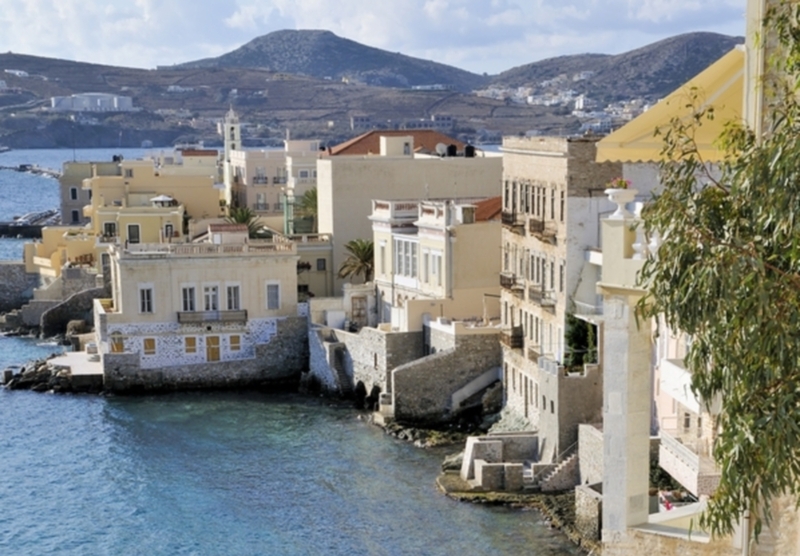 Syros was probably first inhabited by the Phoenicians, and is known to have been an important centre for the Cycladic civilisation by the year 2800 BC. Later the island was part of the Roman Empire, like the rest of Greece, but when the Romans left the island was abandoned until the 13th century when it was taken by the Venetians who founded the town of Ano Syros. This is one of the two hilltops that now join up as Ermoupoli, the other being called Vrondado. Because Ano Syros was settled by the Venetians, it was unusual in Greece in being a Catholic town, long before Vrondado was settled as a Greek orthodox community. Below and between Ano Syros and Vrondado is the lower town, whose grand marble-floored main square, Plateia Miaouli, has become the whole city’s central focus. The whole area around here has been designated a National Historical Landmark, the square being lined with fine mansions and shaded cafes, with a marble bandstand in the centre and, at one end, the grand 1876 town hall, which was designed by the German architect Ernst Ziller, the man responsible for several of Athens’ fine Neo-Classical buildings including the Presidential Palace. Alongside the town hall is Syros’s small Archaeological Museum, which was founded way back in 1835 and is one of the oldest museums in Greece. Nearby is the Apollo Theatre, built in 1864 as the first opera house in Greece and a copy of La Scala in Milan. It has been restored to something of its former glory. Close by is the 19th-century church of Agios Nikolaos, with a stunningly grand marble iconostasis inside, and outside is the world’s first ever monument to an unknown soldier. There are many other churches worth seeking out in Ermoupoli, notably the Byzantine church of the Anastasi at the top of the Vrondado hill, and the Baroque Cathedral of St George crowning Ano Syros. 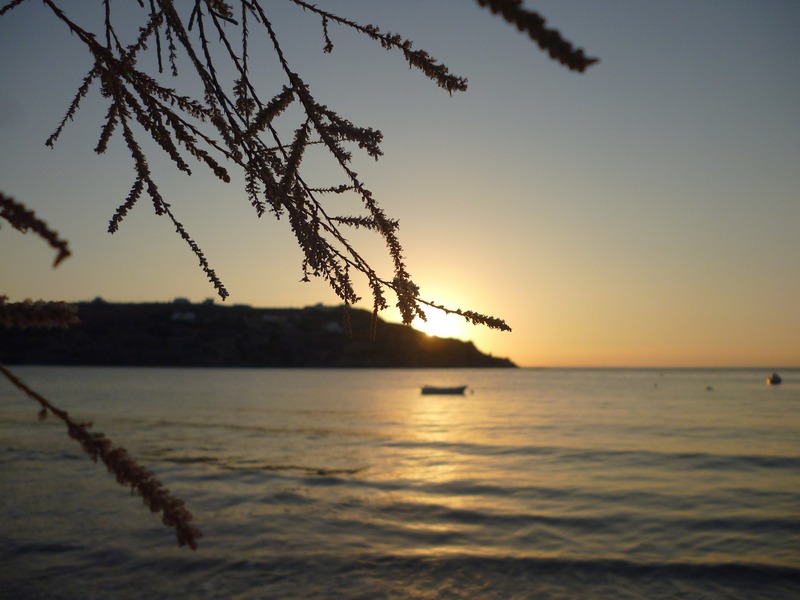 The bulk of the island’s population is in the south of Syros, the villages easily reached by car or on the local bus. 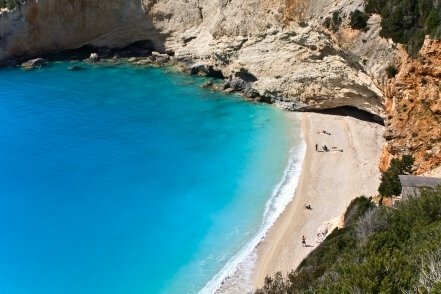 Here too, on the west coast, are the island’s two most popular resorts, Kini and Galissas. Kini is still very much a fishing village alongside its development as a resort, and is set on a lovely horseshoe bay. Its main advantage for the relaxing holidaymaker is that it is just a short walk from here to the best and biggest beach on Syros, Delfini. A few kilometers south, Galissas is at the head of a long bay and also has a good beach nearby, at Armeos. However, it also has the only two campsites on the island which in summer attract crowds of young people that can turn Galissas into the noisiest spot on Syros. In the north of the island the roads peter out into tracks which lead to villages where few visitors are seen, which should result in a warm welcome for the more adventurous travelers who explore this area.